It is possible to improve vehicle vibration by tuning the parameters of engine mounting system. By optimization of mount characteristics or finding the optimal position of mounts, vibration of the engine and transmitted force from the engine to the chassis can be reduced. This paper examines the optimization of 6-degree-of-freedom engine mounting system based on torque roll axis (TRA) mode decoupling, so that TRA direction coincides with one of the natural modes of vibration. This is achieved by determination of optimal location and stiffness of mounts. In order to find feasible results, physical constraints are taken into account in optimization process. A detailed procedure of optimization problem is explained. Finally, by comparing the frequency and time responses of the optimal design with the original configuration, it is concluded that TRA decoupling is a proper objective function in engine mounting optimization and can greatly improve the vibration behavior of the engine. Achieving decoupled system, the optimal configuration has a better chance of placing dominant natural frequency below the operation range. Also, the forces transmitted through the mounts are reduced noticeably in the optimal design. TRA decoupling is found a proper objective function in engine mounting optimization. TRA decoupling is found capable of greatly improving the engine vibration behavior. Forces transmitted through the mounts are reduced noticeably in the optimal design. R. Racca, How to select power-train isolators for good performance and long service life, in, SAE Technical Paper, 1982. P.E. Geck, R.D. Patton, Front wheel drive engine mount optimization, in, SAE Technical Paper, 1984. T. Jeong, R. Singh, Analytical methods of decoupling the automotive engine torque roll axis, Journal of Sound and Vibration, 234 (2000) 85-114. M.S. Foumani, A. Khajepour, M. Durali, Optimization of engine mount characteristics using experimental/numerical analysis, Modal Analysis, 9 (2003) 1121-1139. P. Diemer, M.G. Hueser, K. Govindswamy, T. D'Anna, Aspects of powerplant integration with emphasis on mount and bracket optimization, in, SAE Technical Paper, 2003. J.S. Sui, C. Hoppe, J. Hirshey, Powertrain mounting design principles to achieve optimum vibration isolation with demonstration tools, in, SAE Technical Paper, 2003. A. Akanda, C. Adulla, Engine mount tuning for optimal idle and road shake response of rear-wheel-drive vehicles, in, SAE Technical Paper, 2005. A. El Hafidi, B. Martin, A. Loredo, E. Jego, Vibration reduction on city buses: Determination of optimal position of engine mounts, Mechanical Systems and Signal Processing, 24 (2010) 2198-2209. S.U. Kolte, D. Neihguk, A. Prasad, S. Rawte, A. Gondhalekar, A particle swarm optimization tool for decoupling automotive powertrain torque roll axis, in, SAE Technical Paper, 2014. F. Dai, W. Wu, H. Wang, Q. Liu, F. Ma, F. Zhao, Study on Mount Matching Optimization for Removing Powertrain Abnormal Low Frequency Vibration, in: Proceedings of the FISITA 2012 World Automotive Congress, Springer, 2013, pp. 417-429. B. Angrosch, M. Plöchl, W. Reinalter, Mode decoupling concepts of an engine mount system for practical application, Proceedings of the Institution of Mechanical Engineers, Part K: Journal of Multi-body Dynamics, 229 (2015) 331-343. J.Y. Park, R. Singh, Role of spectrally varying mount properties in influencing coupling between powertrain motions under torque excitation, Journal of Sound and Vibration, 329 (2010) 2895-2914. J. Hu, W. Chen, H. Huang, Decoupling analysis for a powertrain mounting system with a combination of hydraulic mounts, Chinese Journal of Mechanical Engineering, 26 (2013) 737-745. J.F. 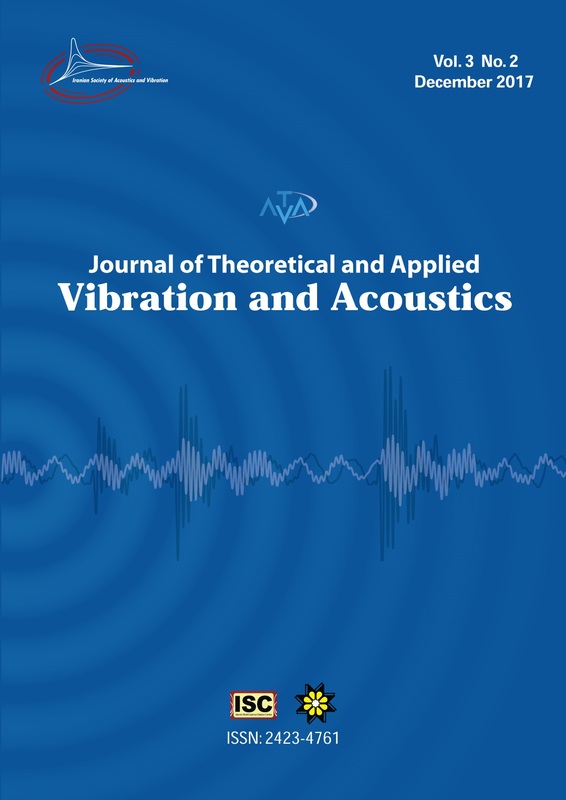 Hu, R. Singh, Improved torque roll axis decoupling axiom for a powertrain mounting system in the presence of a compliant base, Journal of Sound and Vibration, 331 (2012) 1498-1518. J. Liette, J.T. Dreyer, R. Singh, Critical examination of isolation system design paradigms for a coupled powertrain and frame: Partial torque roll axis decoupling methods given practical constraints, Journal of Sound and Vibration, 333 (2014) 7089-7108. B. Sakhaei, M. Durali, Vehicle Interior Vibration Simulation-a Tool for Engine Mount Optimization, International Journal of Automotive Engineering, 3 (2013) 541-554.2013. Y. Rasekhipour, A. Ohadi, A Study on Performance of Simplified Vehicle Models in Optimization of Hydraulic Engine Mounts in Comparison with Full-Vehicle Model, International Journal of Automotive Engineering, 1 (2011). M.Z.R. Khan, A.K. Bajpai, Genetic algorithm and its application in mechanical engineering, International Journal of Engineering Research & Technology, 2 (2013) 677-683. V. Fakhari, A. Ohadi, Robust control of automotive engine using active engine mount, Journal of Vibration and Control, 19 (2013) 1024-1050. J.Y. Park, R. Singh, Effect of non-proportional damping on the torque roll axis decoupling of an engine mounting system, Journal of Sound and Vibration, 313 (2008) 841-857. V. Fakhari, A. Ohadi, Optimization and control of an active engine mount system to improve vibration behaviour of the vehicle, in, Amirkabir University of Technology 2013.